The enlightenment would continue to change as each new generation tried to put their own stamp on the ideas that came before them. This would lead to the development of other philosophical concepts that were based on previous beliefs but took them a step or two further. One such system was called Romanticism, and was highlighted by a philosophical urge to return to the ‘natural state’ of early man. Romanticists believed that society restricted our true nature and wanted to break free from this by allowing our own thoughts and emotions to be free instead of being restricted by the thoughts and feelings of others. Another important movement of the era was skepticism, in which people openly wondered if anyone could really understand the world or if it was too complex for humans to gain an understanding of. Both of these systems of thought, along with others developed at the time, would lead a bold new wave of thinkers mold their own enlightenment thoughts into reality. David Hume (1711-1776) was a the main figurehead of the skeptic movement, and would spend a great deal of his time trying to find the limits of human knowledge and reasoning. He would not be very popular during his own era though, because his work was so complicated that most people ignored it because they didn’t understand it. In his book An Enquiry Concerning Human Understanding (1748) he would question whether our senses could be used to understand the world around us. In this he would also take a different stance on the idea of morals, claiming that anything that was reasonable should be seen as moral also. He would use the same belief system in analyzing science and religion, claiming that neither could fully explain the important issues of humanity and are both incomplete for this reason. He did, however, believe that science was the more logical of the two, but couldn’t follow it completely because it would never be absolutely correct. his contemporary society in the belief that people were most free during these nomadic society. He famously blamed private property (among other things) for the inequality and moral issues that had arisen since complex societies had developed, believing that people had gotten to the point where comparing themselves to the material wealth of others instead of being truly happy. In his belief, this morally bankrupt system of man made it impossible to have true friendship because of jealousy, fear, and suspicion. His most well-known work would be The Social Contract (1762) in which he describes what he believes would be the perfect political system, which he admits is a fantasy. Like Locke he believes that people should try to obtain their dreams but must compromise at times also. His society would only have laws because we had lost ours over the years, so individuals could only be free to give up their natural rights and enter into a social contract with another group. The only way government might work is if the people run it, despite the fact that he was skeptical of the idea of the majority always being right. The job of the government would be to secure freedom, equality and justice for all people, even if this was unpopular with the majority. 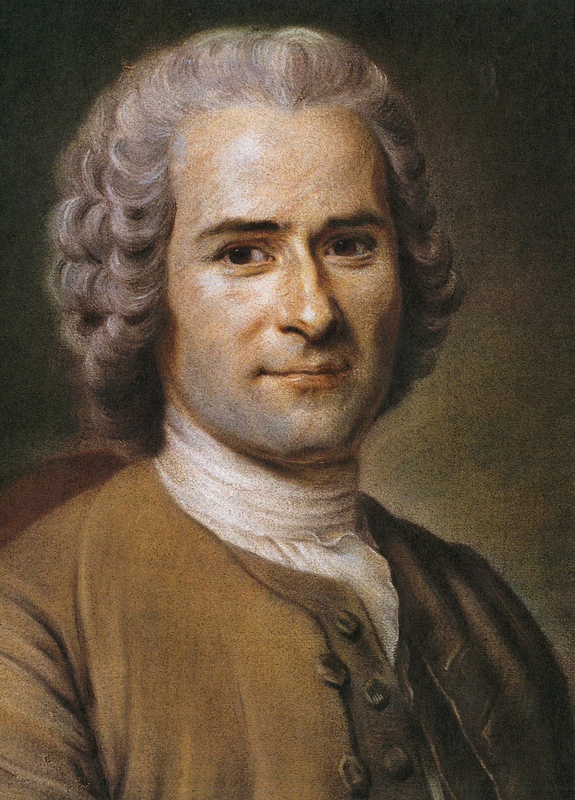 Rousseau’s legacy is quite interesting due to the fact that later generations ignored the fact that he claimed his political writings were “pure fantasy” and would not work in practice, instead advocating a more moderate government in reality. Ironically, he would become the poster child for radical left wing beliefs in the successive generations because they wanted to truly create the society he explained. His attacks on inequality and societies based on private property would end up as the main inspiration of the French Revolution and communism as time progressed. For this reason, he is among the most important enlightenment thinkers, even though many people hold negative views of his impact on later years.